Man Utd and Man City are reportedly both setting their sights on Juventus forward Douglas Costa to strengthen their attacking options. The 27-year-old spent last season on loan with the Turin giants, scoring six goals and providing 14 assists in 47 appearances in all competitions as he played a key role for Massimiliano Allegri’s side in extending their domestic dominance. After making his switch to Italy a permanent one this past summer, it seems as though he will continue to feature prominently for Juve having appeared in all three games so far this season. However, according to Sportmediaset, both City and United could explore the possibility of signing him next year as they’re both being linked with having an interest in the Brazilian international, while it’s even suggested that the Red Devils could ask for him to be included in a potential swap deal for Paul Pogba. As noted by ESPN, the French international’s future has been a major topic of discussion in recent weeks as he has continued to be linked with an exit from Old Trafford. As for Costa, although he has played an important role for Juve over the last year or so, he hasn’t always been considered a regular starter and so whether that’s a factor in a possible exit remains to be seen. 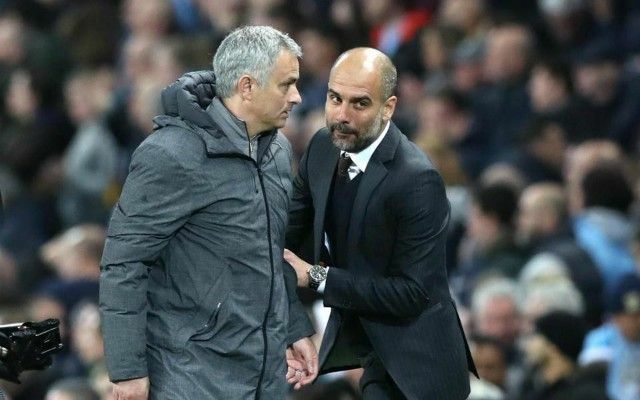 Nevertheless, with both Pep Guardiola and Jose Mourinho fortunate enough to have plenty of attacking quality at their disposal already with the likes of Leroy Sane, Raheem Sterling, Marcus Rashford and Alexis Sanchez, it has to be questioned as to whether Costa’s situation would be any better in Manchester. Time will tell if either club make a move for the pacy winger, or if Juve continue to benefit from his quality as he certainly offers a different dynamic for them in the final third.